Eugene was born June 24th, 2016. It was not until he was 24 hours old that a pulse oximetry test revealed something was very wrong with our perfect appearing child. He was diagnosed with multiple congenital heart defects and was transferred to Advocate Children's Hospital of Oak Lawn. He had his first open heart surgery one week later. Eugene was born with the following conditions; Taussig-Bing type double outlet right ventricle, Interrupted Aortic Arch, Ventricular Septal defect, and dextro-Transposition of the Great Arteries. His initial surgery was successful and he was discharged just 11 days later. Eugene went home with us and continued to thrive for the next several months. In October, Eugene went in for a cardiac catheterization procedure but complications arose afterward and he had to be admitted. It was at this point we began to grasp how perplexing he truly was. We spent the holidays being a normal family, it was quiet and medically uneventful. In January, Eugene had an episode of partial heart block at home, at which time the paramedics came and he was transferred to Advocate. He had occasional unexplained episodes resulting in making us and his doctors very nervous, he was very closely monitored after getting discharged. However, it was found at a cardiologist appointment several weeks later that his left ventricle function had diminished, he was in heart failure and needed surgical intervention. Eugene had his 2nd open heart surgery at 9 months old to repair his mitral valve and correct his coronaries. After a long surgery he was unable to come off bypass resulting in requiring ECMO support. We were stunned to hear he would need a heart transplant. The closest transplant center was unable to admit him because of the availability of pumps. He was transferred to Children's Hospital of Wisconsin in Milwaukee 8 days later for transplant evaluation. He was listed at the highest status while being supported by a Berlin Bi-VAD device allowing him to rehabilitate as he waited for a new heart. He had therapy daily and was getting stronger everyday. 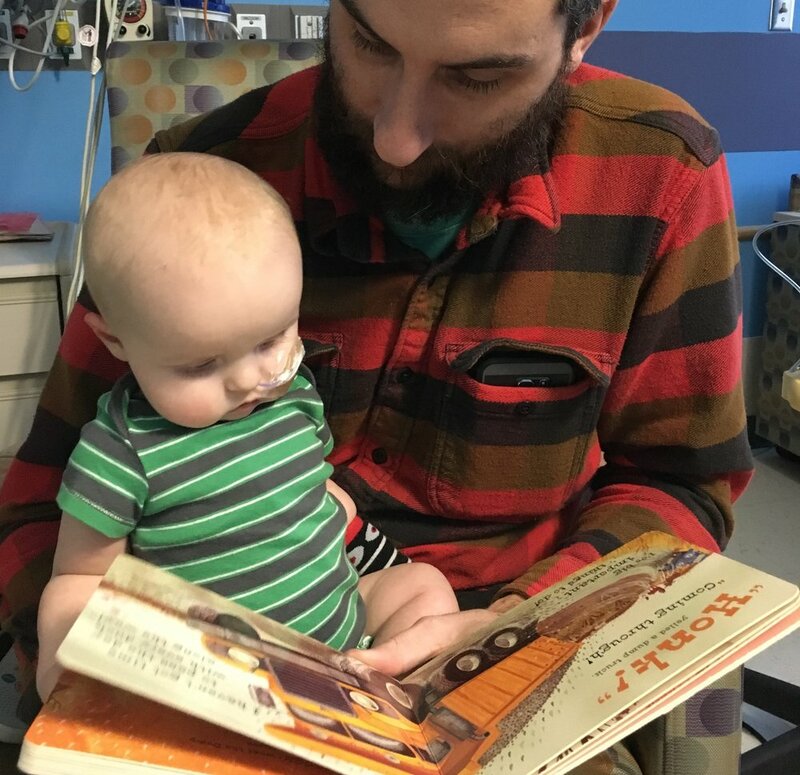 Six weeks after being listed, on May 19, 2017 we got the news that we had anxiously been waiting for, he had a donor heart offer that was a match for him. The transplant surgery was the longest yet and in the days following, it seemed Eugene was recovering as he should. However, complications became all too routine for Eugene and never-ending. After being in an extended inflamed state he got some further imaging and scans done. It was discovered that he had a large clot inside his aorta requiring he be operated on immediately, yet another open-heart surgery. If that was not enough, he also had a brain bleed that was operated on the day before his first birthday. We waited for him to get better but that day never came. Almost 10 weeks after he received his gifted heart and at 13 months old, Eugene passed away in the arms of both his mom and dad.